Looking for a mountain home that really puts you on the peak of the concept of living on the top…literally? 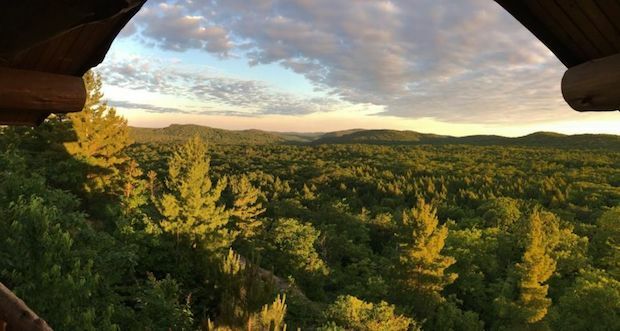 Well, somewhere in the Upper Peninsula of Marquette County in Michigan there’s a cabin for sale, and its location is very essence what makes a mountain home amazing. 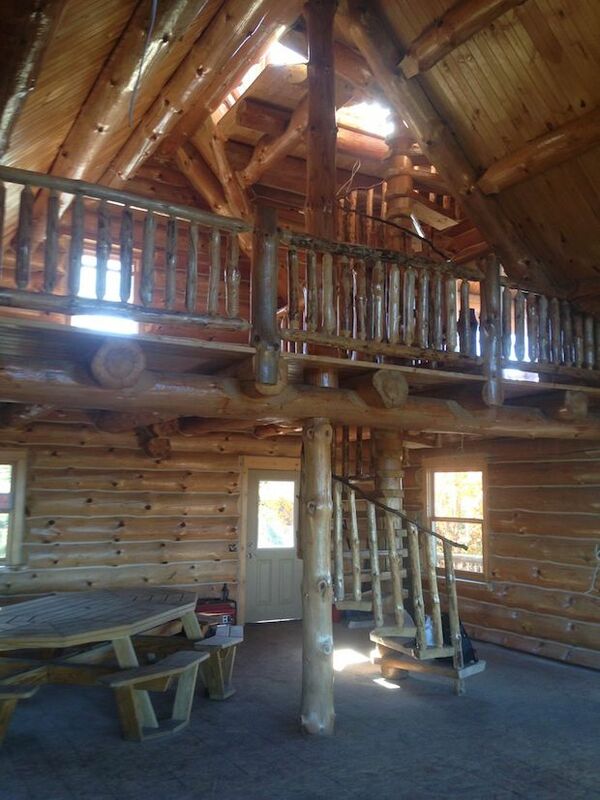 The mountain cabin is basically in a remote location, pretty off-grid on a mountain. Its interiors are unfinished so you’re going to have to put in a little bit of work to really make into your very own home. 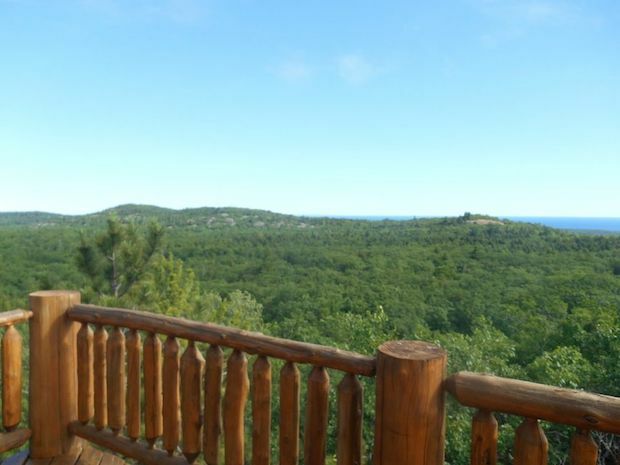 The highlight of this home is the view, and what a view it offers. 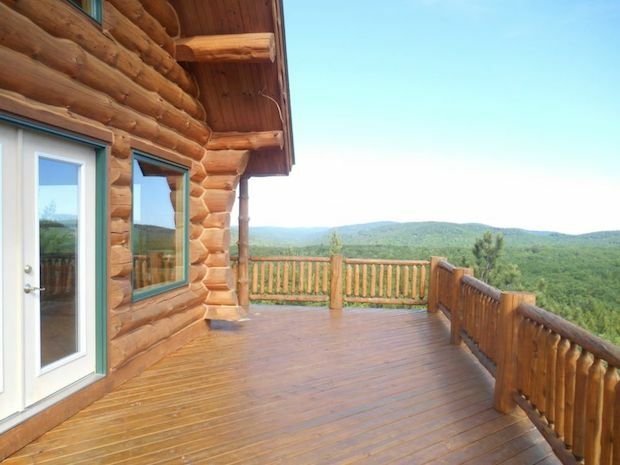 Breathtaking panoramic view all around the cabin as far as the eye can see. 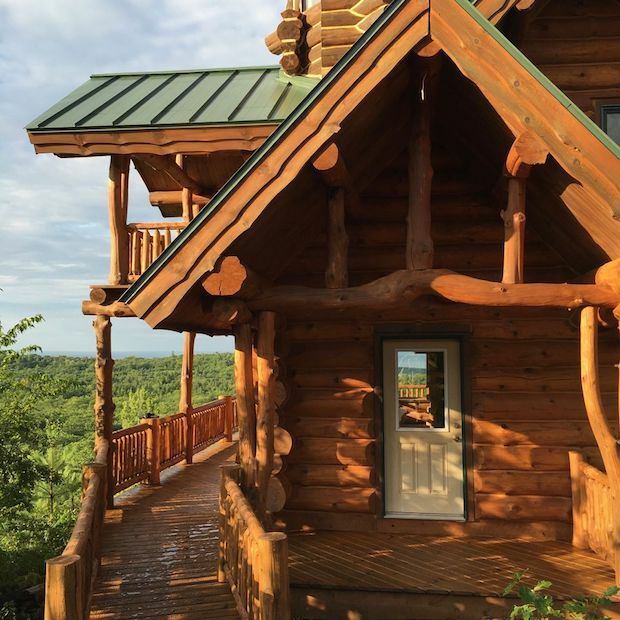 The cabin even has two spacious decks on both levels to really maximize your vantage points; there is even an observation tower at the top of the house. 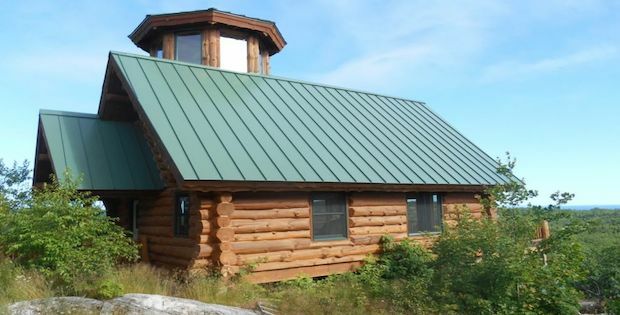 Aside from the detailed carpentry that went into the cabin, it already comes with a well and a septic system installed; though keep in mind it still doesn’t have running water and electricity yet. 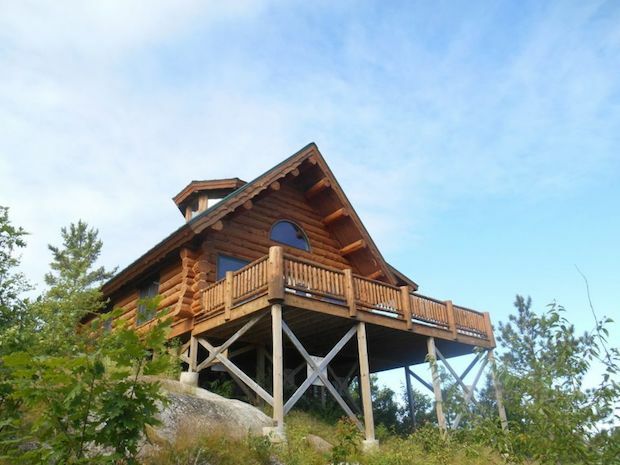 The property is sized at 800 square feet and it sits on 120 acres of Upper Peninsula land. It is already available for sale at $409,000.